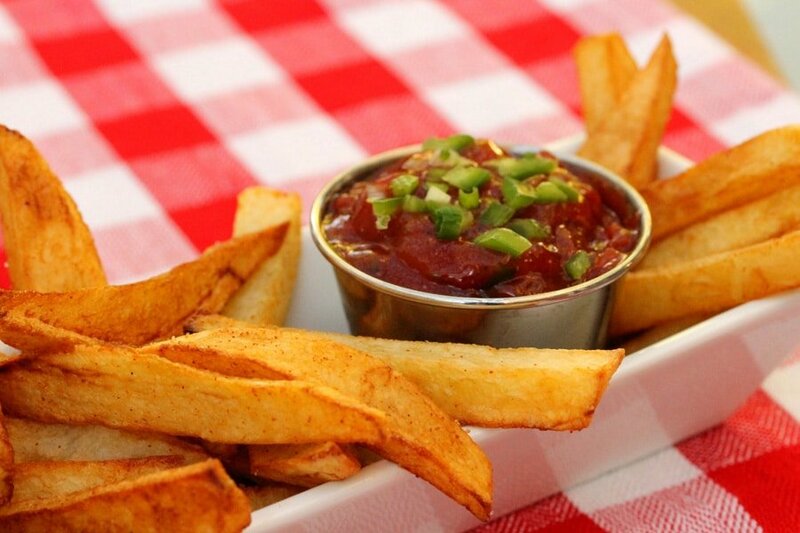 Homemade french fries are delicious on their own, but when dipped in a flavorful sauce they’re even better. 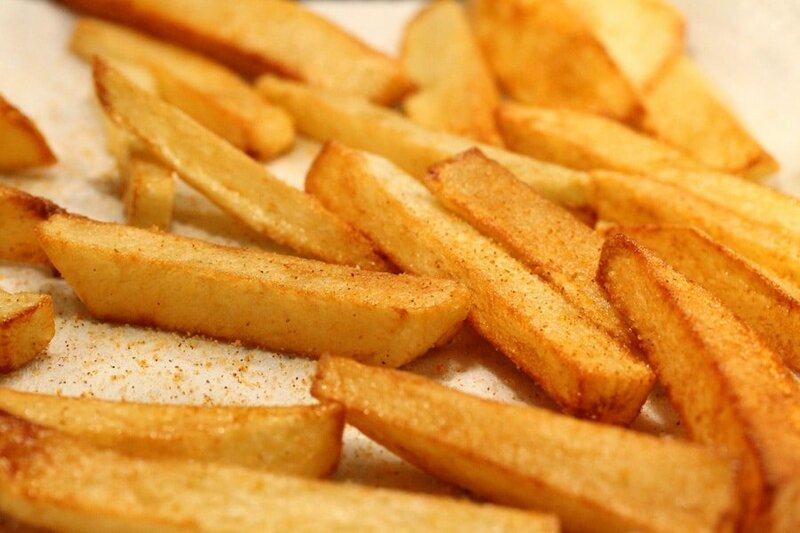 In this recipe, french fries made from russet potatoes are lightly fried in canola oil and then sprinkled with seasoned salt. 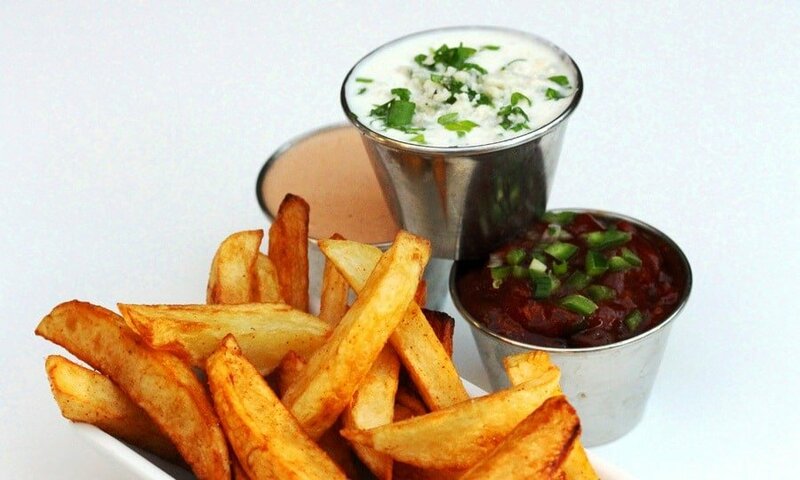 Each dipping sauce tastes so good with these homemade fries. 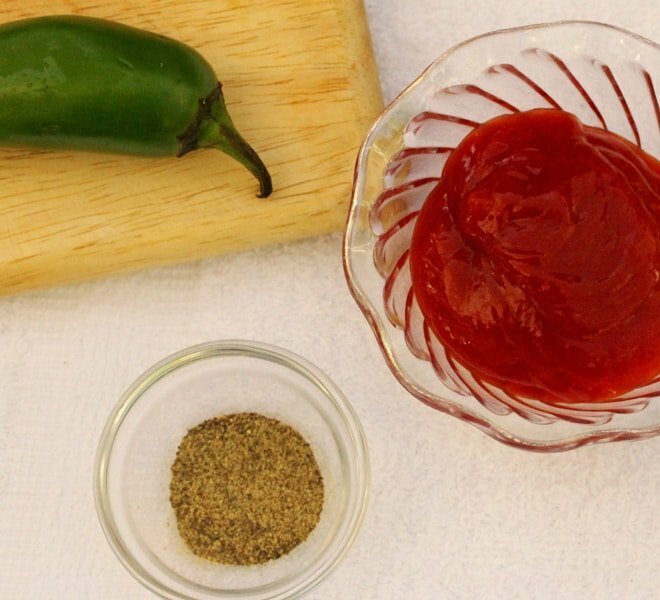 The Hot Pepper Ketchup sauce is a slight spin on using traditional ketchup. 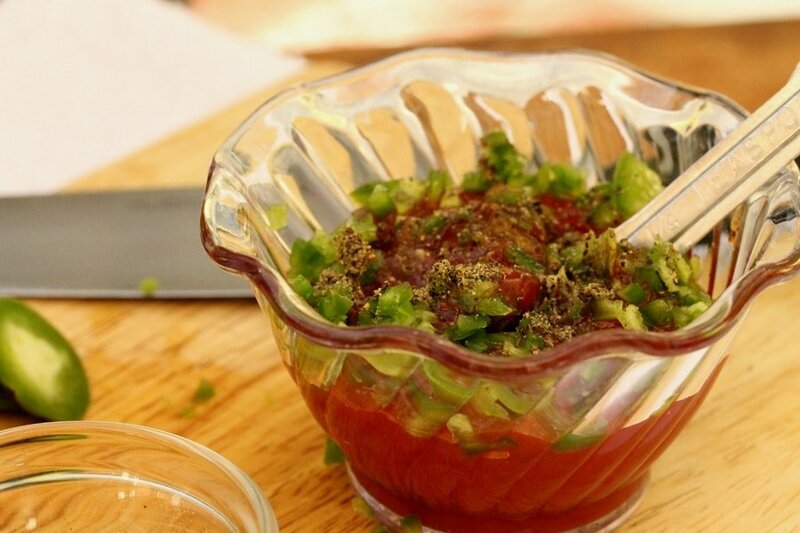 It’s spiced up a bit with diced jalapeno pepper. 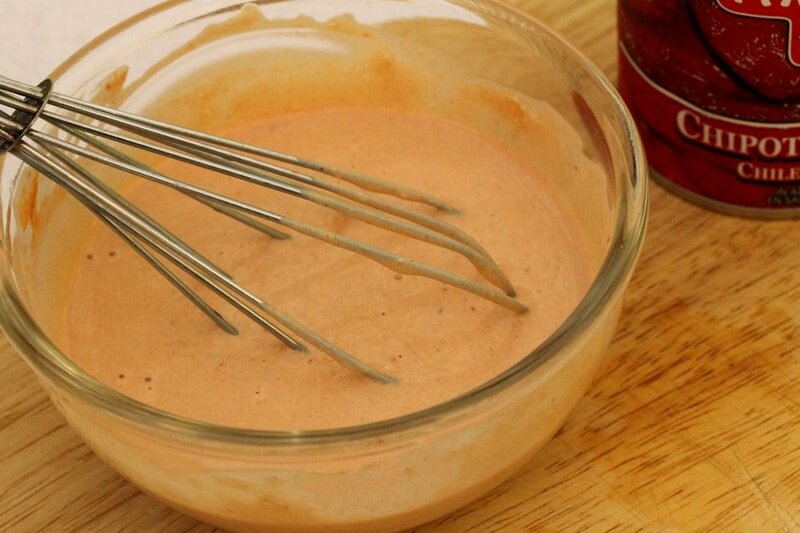 The Creamy Chipotle sauce has a wonderful smoky flavor to it. 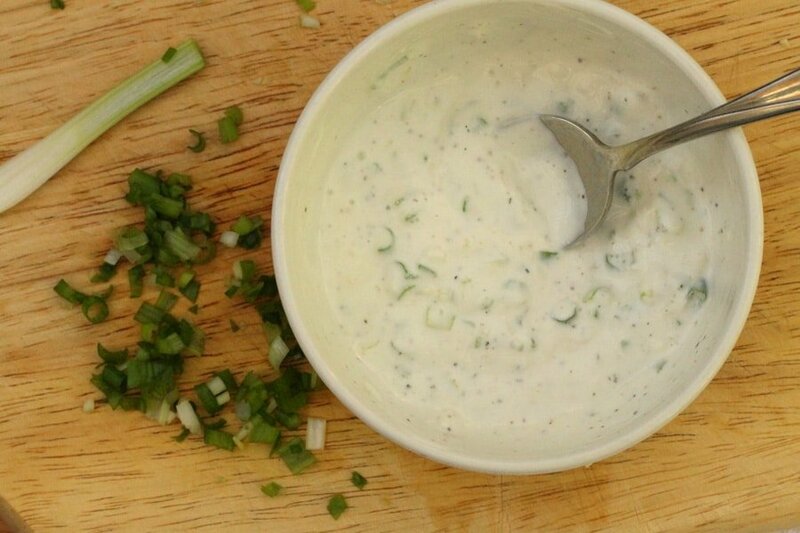 And the Blue Cheese Dipping Sauce is made with sour cream, buttermilk and crumbled blue cheese and tastes similar to a blue cheese flavored Ranch dressing. 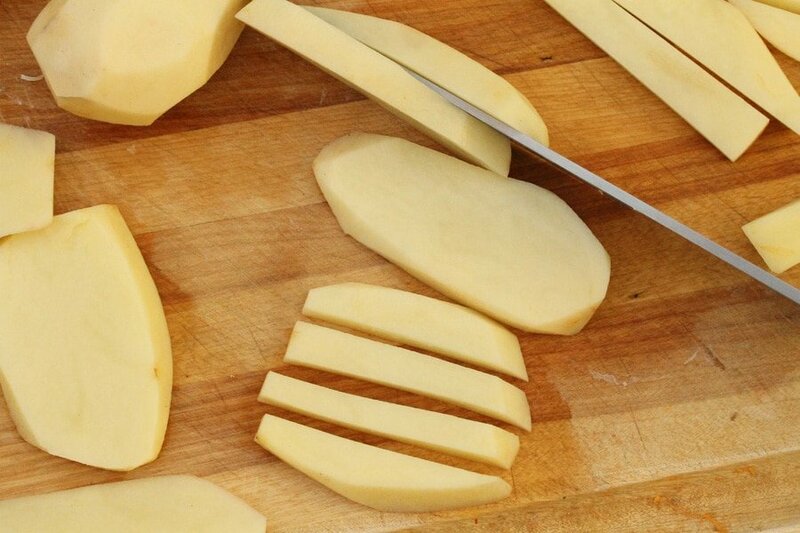 Cut each potato in half lengthwise. Then cut each half section in half again lengthwise. Next, cut each section into about 4 strips. 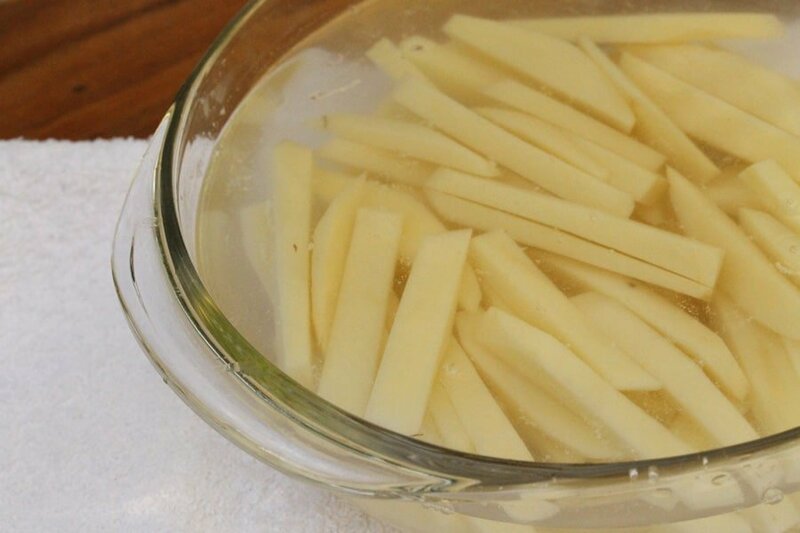 Put the strips of potatoes into a bowl of cold water for at least 5 minutes to rinse off the starch. If you want to cut the potatoes ahead of time, they can be kept in water for up to a day. 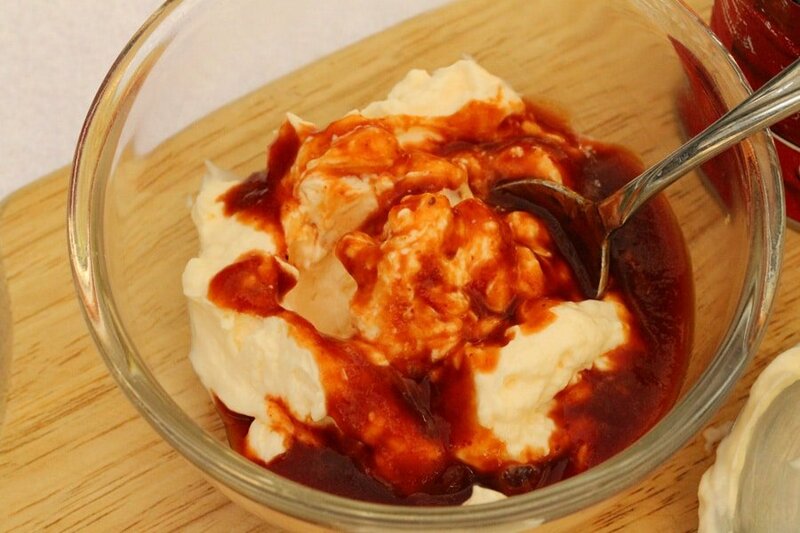 While the potatoes are soaking in the water the dipping sauces can be made. 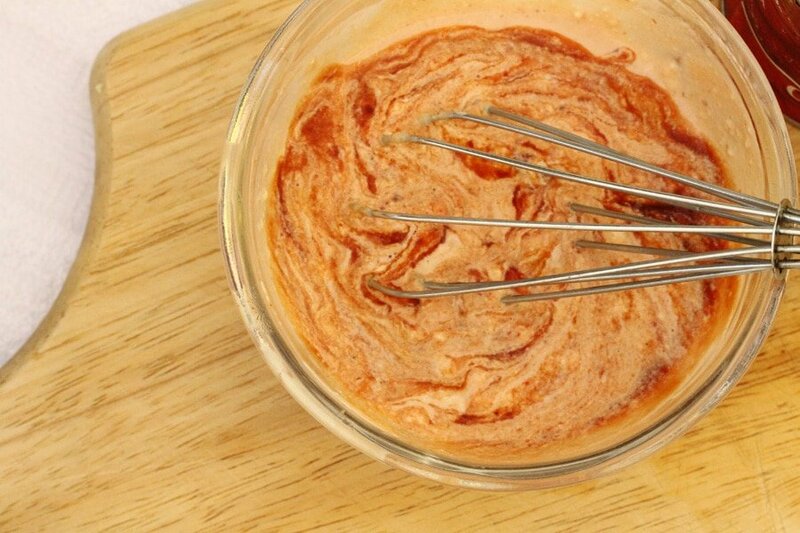 In a small bowl add mayonnaise and adobo sauce. 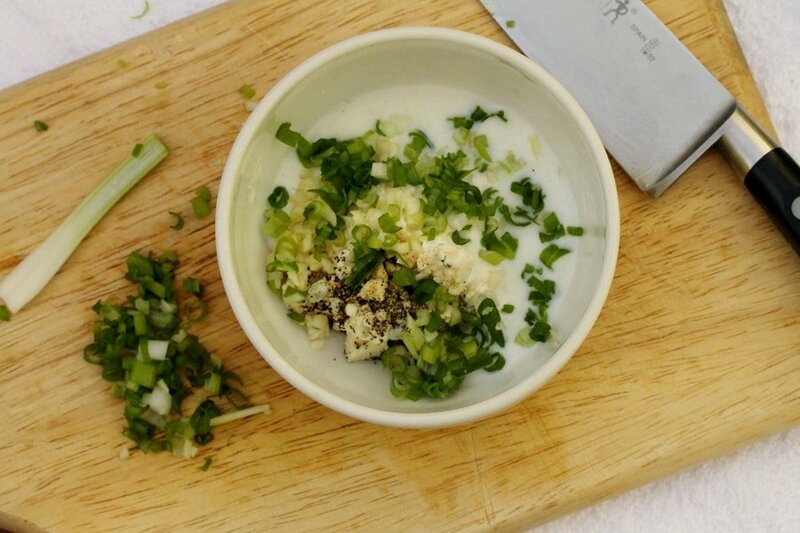 …diced green onion (green tops only), diced garlic (optional), buttermilk (or milk), salt and pepper. Drain the potatoes and put them on a paper towel. Pat them completely dry with a paper towel. To a large fairly deep skillet, add canola oil. The quantity of oil to use may vary depending on the size of the skillet. The oil should sit in the pan about an inch high. Heat the oil on medium heat. 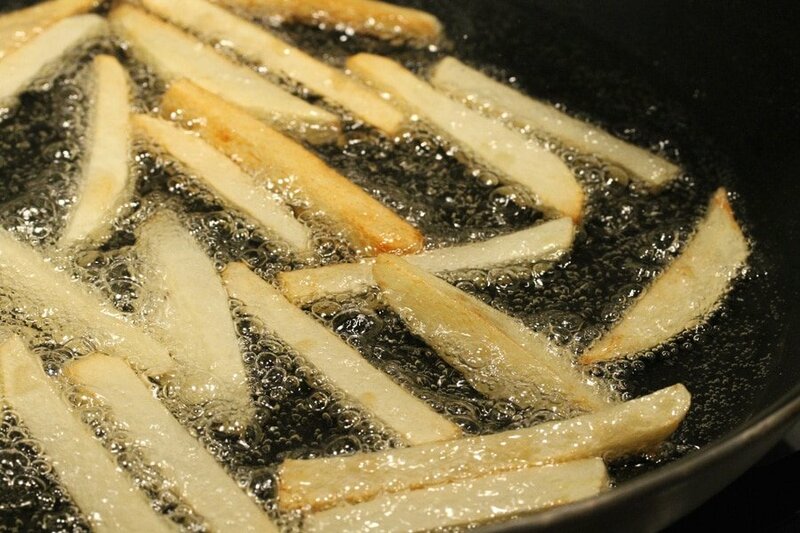 Add one potato strip to the pan, when the oil bubbles, add more. Be careful not to crowd the pan with too many potatoes. The french fries can be cooked in batches. Using tongs move the potatoes around a little so they cook evenly on all sides. If at any time the oil starts to get too hot (smoky or sizzling), turn the heat off and put the pan on an unused burner to cool. Fry the potatoes until they turn a light golden color (about 5 minutes). Another option is to fry the potatoes twice; the first time, cook them about 4 minutes until they’re cooked through but are a light color. 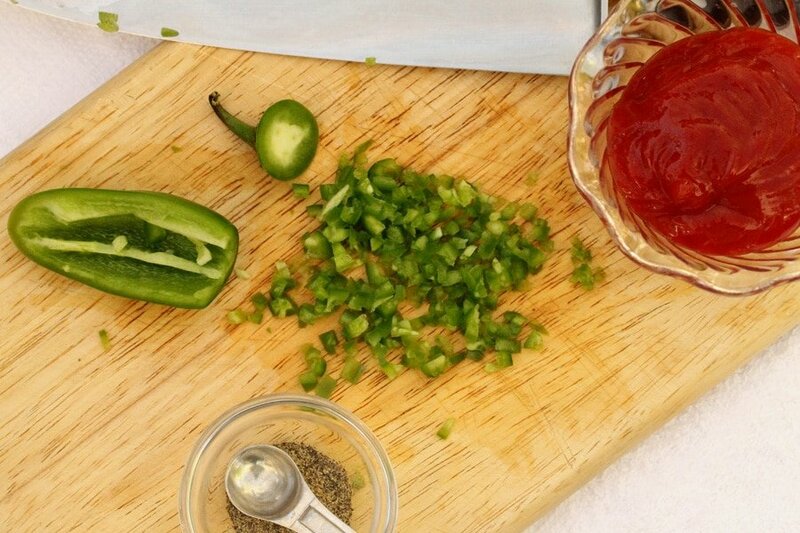 Then remove them from the oil on to a paper towel-lined plate. Then, right before serving, put them back into hot oil and cook them a second time for about 4 minutes until they’re crispy and a light golden color. As you’re frying the potatoes, have paper towel-lined plate ready. 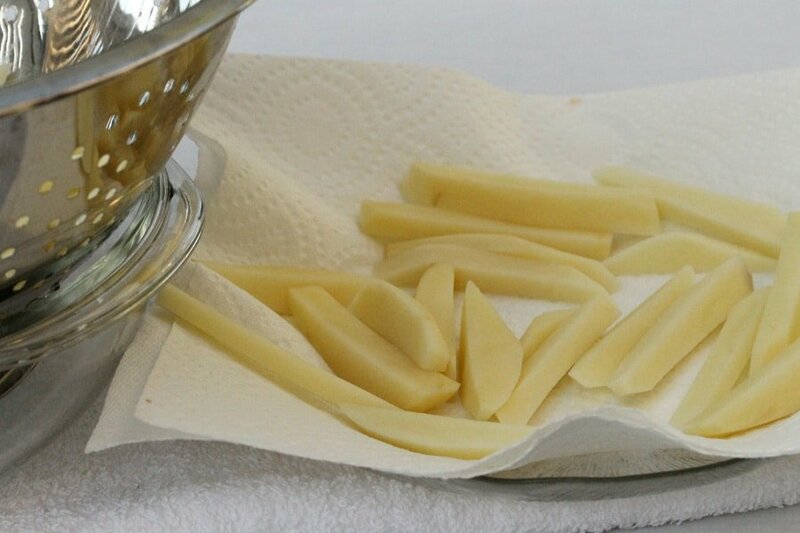 When the french fries are a light golden color, carefully transfer them from the pan onto a paper towel-lined plate to drain off any excess oil. 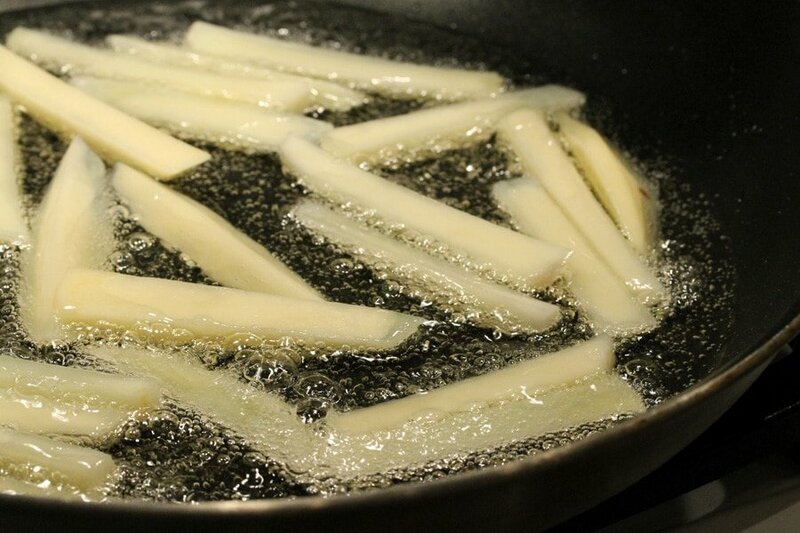 As soon as the french fries are removed from the hot oil, sprinkle them with the seasoned salt. If frying the potatoes in batches, repeat the process for the remaining potatoes. 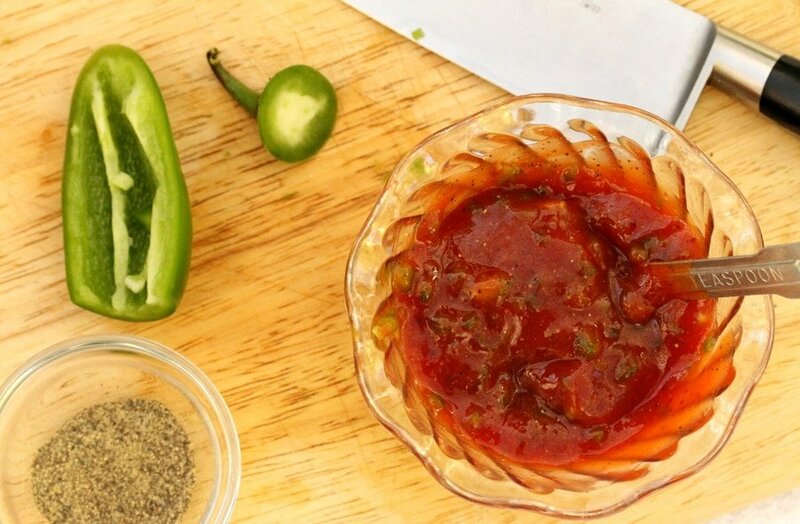 Serve as soon as possible while the french fries are warm with the dipping sauces. 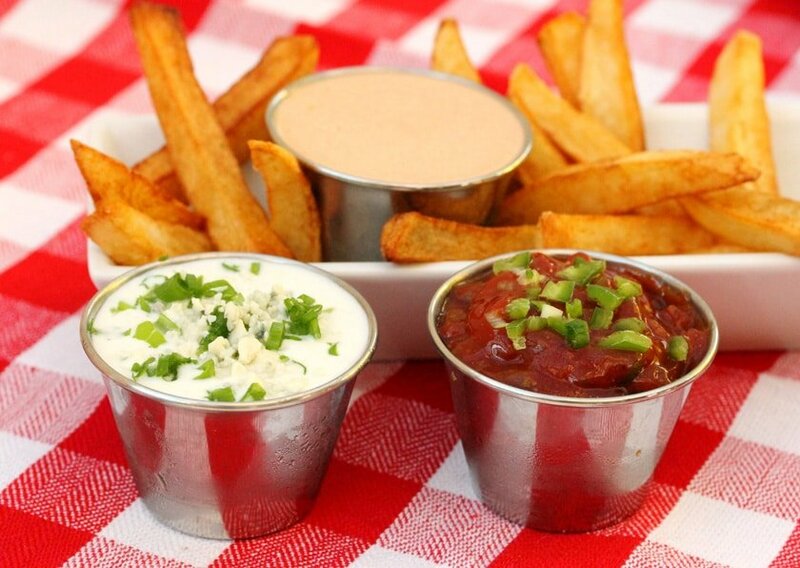 Homemade french fries with 3 scrumptious quick and easy dipping sauces. Cut each potato in half lengthwise. Then cut each half section in half again lengthwise. The cut each section into about 4 strips. 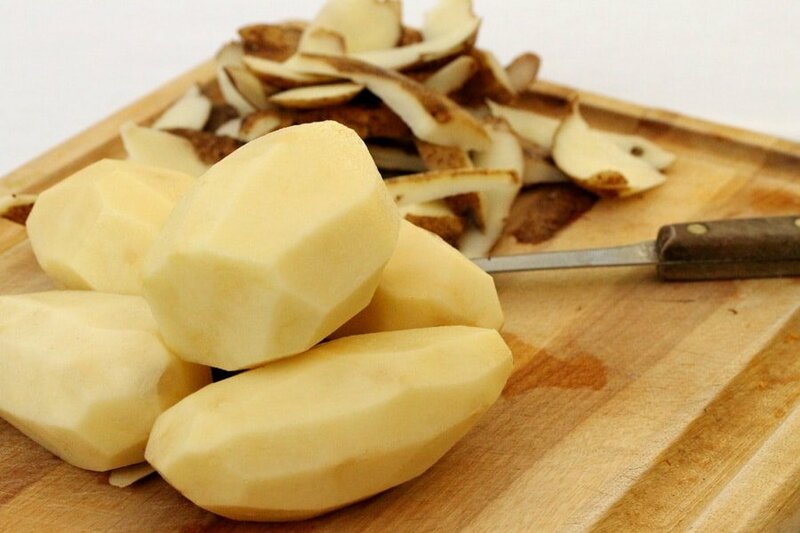 Put the strips of potatoes into a bowl of cold water for at least 5 minutes to rinse off the starch. If you want to cut the potatoes ahead of time, they can be kept in water for up to a day. 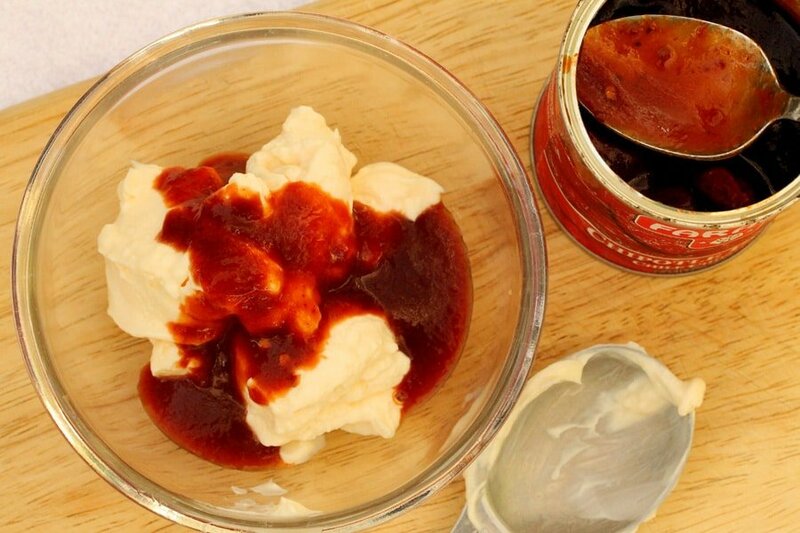 While the potatoes are soaking in the water the sauces can be made. 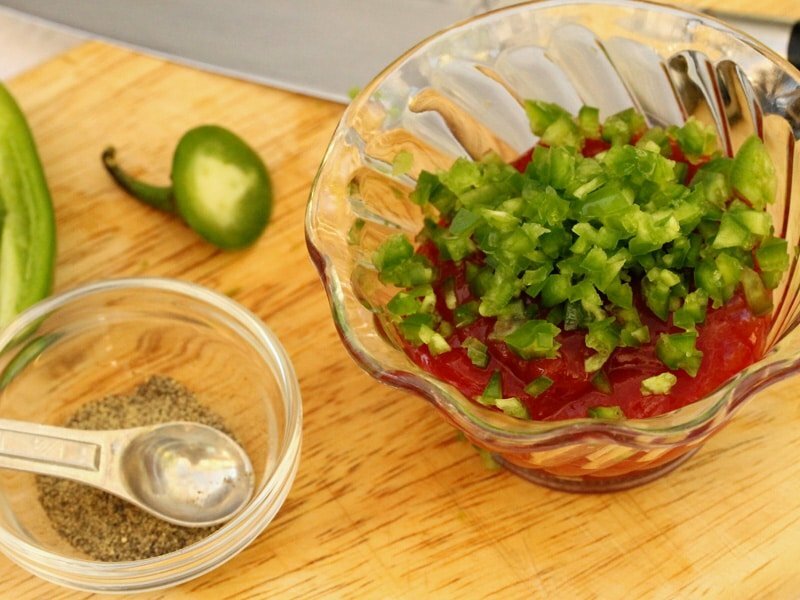 To a small bowl, add ketchup and diced jalapeno. Mix together and set aside. 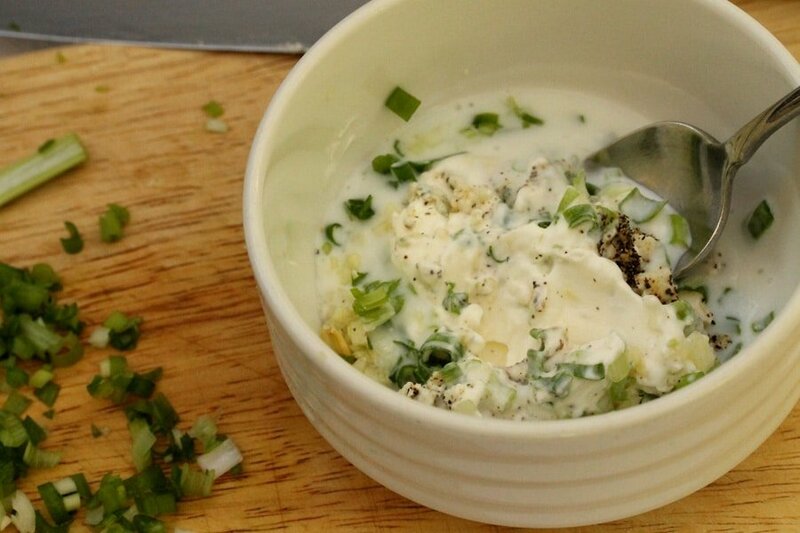 In a small bowl, add mayonnaise and adobo sauce. Mix together and set aside. 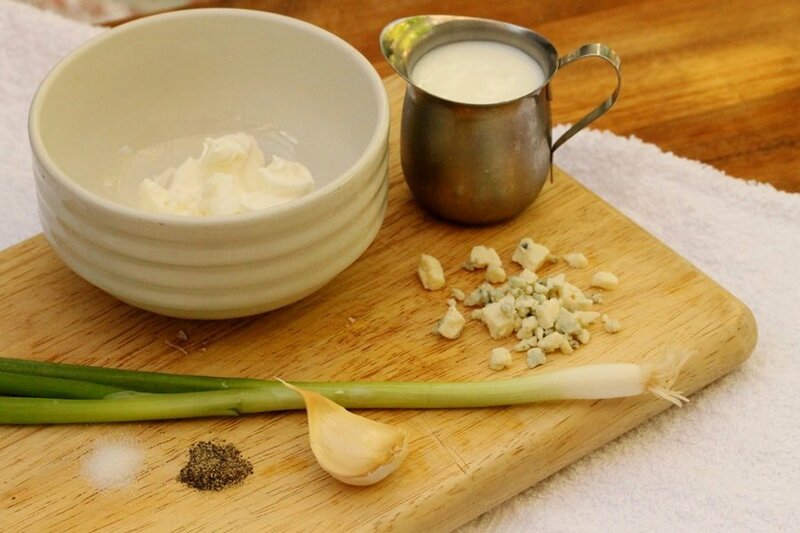 To a small bowl, add sour cream, diced green onion (green tops only), pepper, salt, crumbled blue cheese, buttermilk (or regular milk) and diced garlic (optional). Mix together and set aside. Drain the potatoes and put them on a paper towel-lined plate. Pat them completely dry with a paper towel. To a large fairly deep skillet, add canola oil. The quantity of oil to use may vary depending on the size of the skillet. The oil should sit in the pan about an inch high. Heat the oil on medium heat. 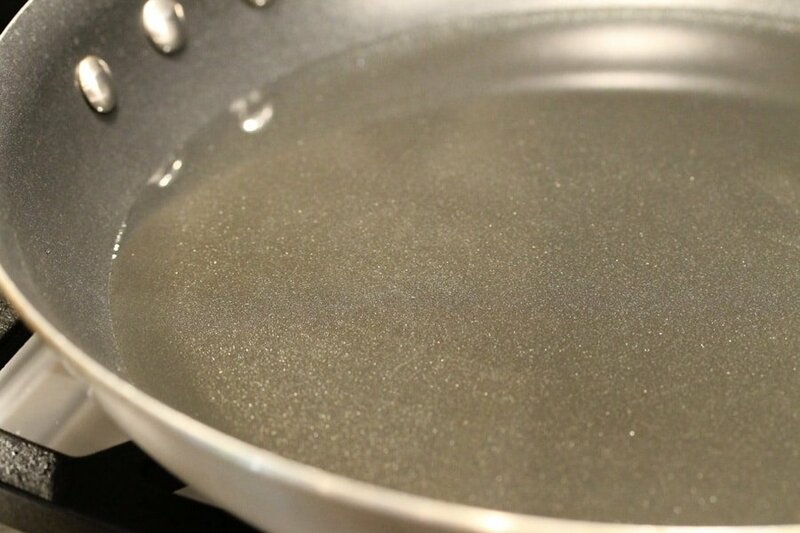 Add one potato strip to the pan, when the oil bubbles, add more. Be careful not to crowd the pan with too many potatoes. 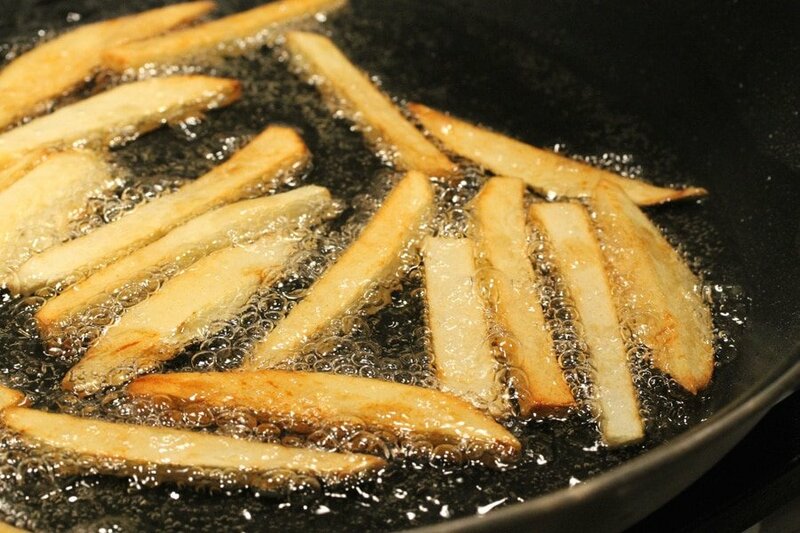 The french fries can be cooked in batches. Another option is to fry the potatoes twice; the first time, cook them about 4 minutes until they're cooked through but are a light color. Then remove them from the oil on to a paper towel-lined plate. Then, right before serving, put them back into hot oil and cook them a second time for about 4 minutes until they're crispy and a light golden color. Hello Coupon Clipping Cook! 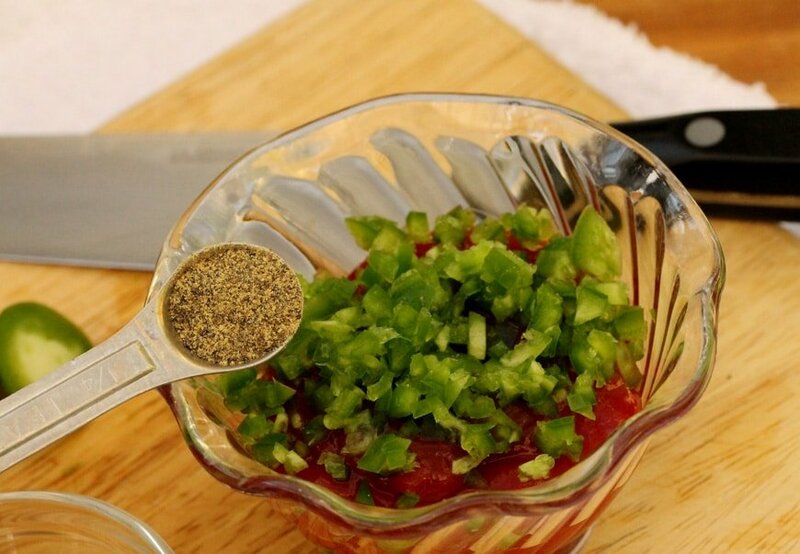 Love the seasoned salt and blue cheese ideas. Your photography is breathtaking, can’t wait to see more! Hi Janel, thank you very much! 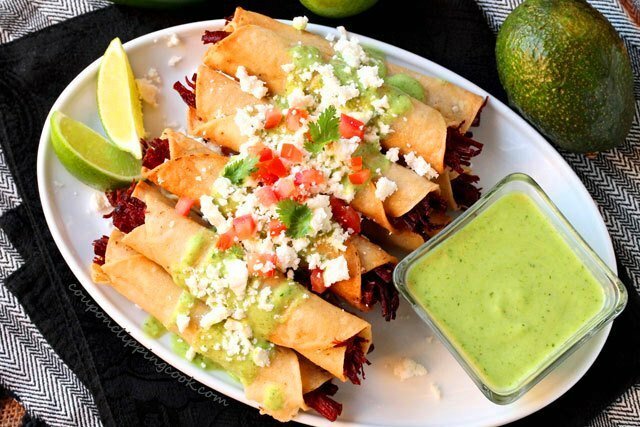 It’s definitely a great weekend recipe! Hi Beth, thank you. I like french fries too and their counterpart fried potatoes!